This is the karate gi (uniform), I got when I first traveled to Japan in 2003. It went through many wars during my training sessions and no matter how well I wash it, the yellow marks of my sweat never come off. Although I have a few new uniforms, this one has a special place in my heart and I just cannot let it go. 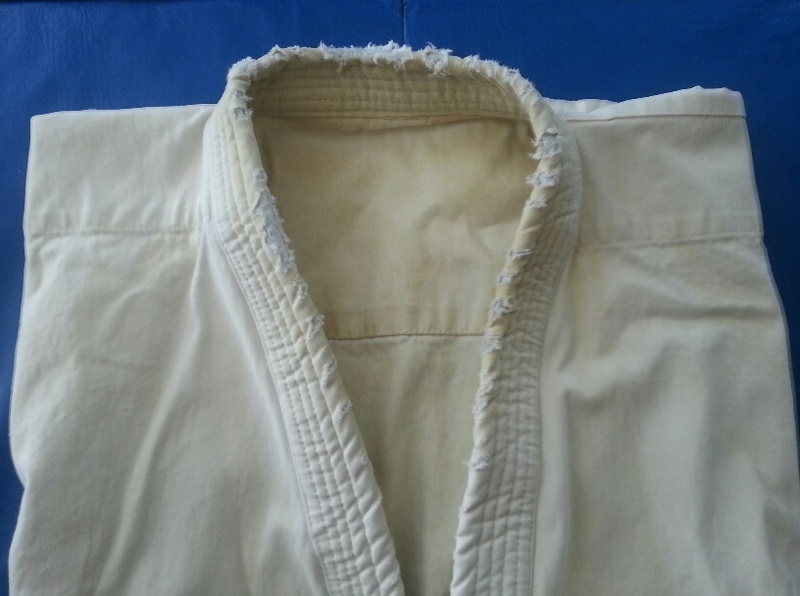 Sometimes I still wear it and I make sure it is an extra hard class, just to prove to my students that karate is not about a shiny uniform or belt, but rather on what you have inside you.